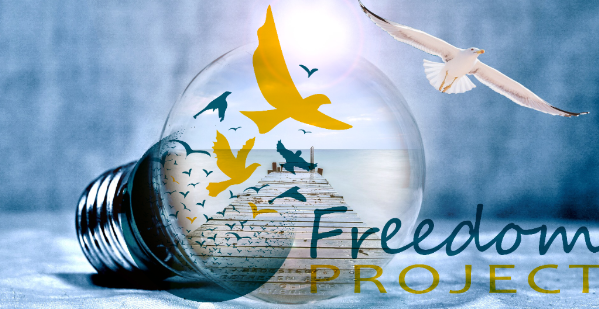 I have been reflecting more and more on Freedom Project‘s values, which provide us with such a solid framework and reference point, thanks to the vision of our founder, Lucy Leu. As we give thanks for the solid response to our annual GiveBig appeal, you might think that I would be writing about the value of sustainability. However I believe that people who made financial donations this week are more likely in touch with Freedom Project’s value of contribution. All of you who contribute your time, talent or financial support are in touch with that something bigger. It’s bigger than our $22,105 in donations. It’s bigger than the 998 prison classroom hours contributed in 2013 by our volunteers in Mindfulness and Nonviolent Communication courses. It’s bigger than the 480 certificates awarded this past year to men and women who participated in our prison programs. The opportunity and privilege of contributing through Freedom Project helps us become more and more a part of the whole. Let us thank the women and men who have brought us to this place and time. And thanks to all of you for making it possible!